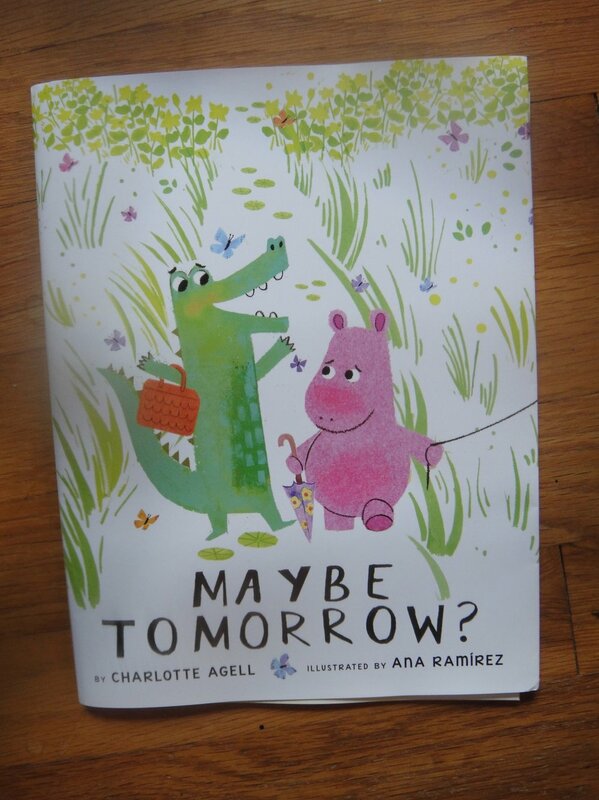 The galleys for Maybe Tomorrow? arrived! I am so thrilled with Ana Ramirez's art work. This book has its origins in a question a student asked me (explored elsewhere on this site) but also in a simple ceramic rhinoceros, bought at Indrani's here in Brunswick. She sat on my desk for a while, looking dour. In my original dummy, Norris was a croc and Elba was a rhino. 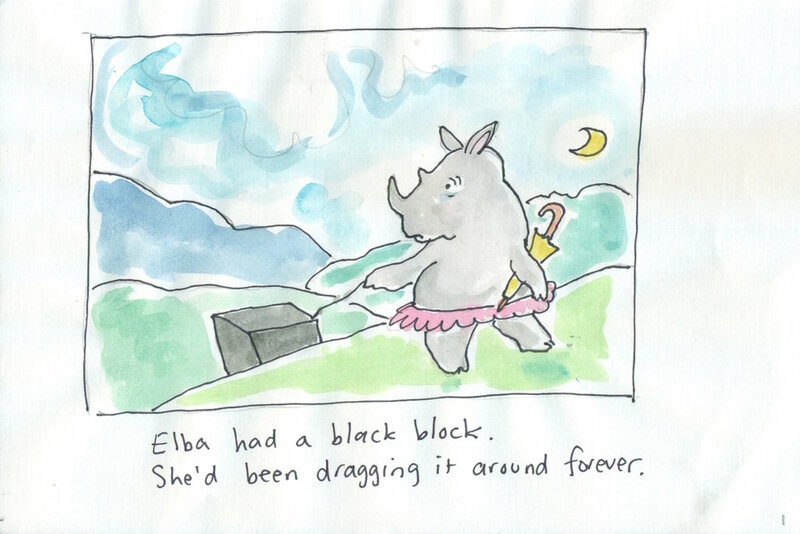 I love how Ana rendered Elba - hippo with Moomintroll undertones? Here is a progression of Elbas!